Twenty years ago I was playing Rad Racer and watching Captain EO in 3D. I would have predicted that by now, we'd be well into the 3D era of entertainment. 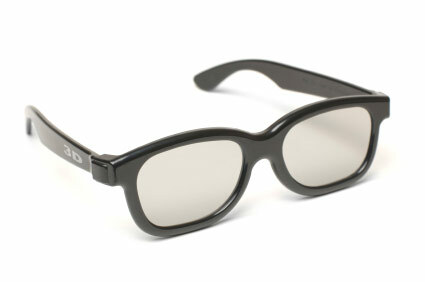 However, films like Up and Avatar have only recently brought 3D into the mainstream of Hollywood. Going forward, I can't imagine many major animated or action films NOT being released in 3D. While being the last person on Earth to see Avatar this past weekend, I couldn't help but think how this technology might one day relate to my day job. Will the type of 3D effects we're now seeing on the big screen make it onto the web? I think so, but it will take a while and won't be as impactful as it has been for the movie industry. 3D entertainment content will make its way onto the web first. It's not a huge leap to expect we'll be seeing movie trailers offered online in a 3D format in the near future. When you go to a movie's trailer page, you're already seeing multiple options for the resolution of the trailer. Tacking on a 3D option seems to be a no-brainer; they're already filming the movie in 3D anyway and the only barrier for the user is obtaining a cheap pair of glasses. After movies, I expect to see video games make the leap. In fact, I'm sure armies of people are working to make this happen as we speak. "Web" content will follow with shopping sites leading the way. There are a number of other types of content that would benefit greatly from the 3D treatment. Most notably, I can imagine users wanting to view products like sneakers, bike helmets, furniture, etc. in 3D. Allowing rotating views of certain products was a big leap forward for online shopping experiences. Enhancing that type of online product browsing with 3D would be another step forward. In addition to retail, I envision real estate tours, trail maps, photo sharing sites, and infographics all benefiting from 3D enhancement. Will we see interfaces designed for 3D? We'll likely see some attempts to make this happen, but ultimately, it won't catch on. I think the path here is roughly analogous to the one Flash previously went down. It's a great fit for delivering certain types of content (video, audio, games, etc. ), but building entire interfaces around the technology typically creates more problems (accessibility being a big one) than it solves. I have a hard time envisioning 3D interfaces providing a real, tangible benefit to users. Don't start worrying about 3D any time soon. Ultimately, designing for 3D content is not going to have a major impact on web and user experience designers' jobs in the near future. I'll be on the watch out for the first movie trailer site that offers the 3D option though.